Exercise can be invigorating and help build muscle mass at any age. Strength is not just a function of mass – it’s also a function of something called neurological patterning. In layman’s terms, patterning is when the brain sends electrical signals via the nervous system to muscles to make them contract. For example, when someone decides to walk across the room, the brain sends electrical signals to the body parts that are needed to complete that task. When this system is in good working order, being able to move safely with good balance becomes much more achievable. Balance and exercise go hand in hand. Balance decreases as we age, and consequently, falling is a major concern for the elderly. According to the U.S. Center for Disease Control and Prevention, one of every three Americans over the age of 65 fall each year. One important conclusion from the research is that seniors should select balance-training exercises that are specific to activities they are likely to do during the day. For instance, you might want to do balance exercises on one leg to mimic the act of walking if you are unsteady while you walk. Tai chi is excellent for this because it involves slow, coordinated movements, and it is particularly beneficial for balance since you lift one leg frequently while doing it. In addition to helping with balance, exercise can also assist with mood elevation. Talk to anyone who exercises and they will most likely report a “feel good” phenomenon after exercise. 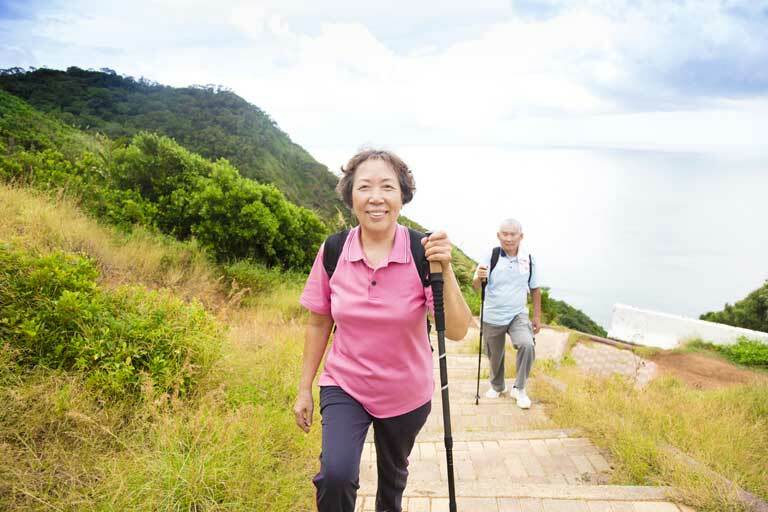 Whether it’s from getting the heart beating or the blood pumping, from invigorating brain cells or simply getting out in the fresh air, a good dose of exercise typically improves mood at any age. One of the most encouraging areas of exercise research is the investigation of cognitive function. What scientists have learned so far is that brain neurons, the special cells that help you think, move, perform all the bodily functions that keep you alive and even help with memory, all increase in number after just a few days or weeks of regular activity. When possible, exercise outside in the sunshine gives you a double perk as Vitamin D is absorbed from the sunshine and increases energy levels. Physical activity increases blood flow to all of our organs. Good vascular circulation promotes healthy blood pressure, skin integrity, healing and cognition. For overall wellness, activity is a must. Find something you enjoy, and just do it!